With Halloween almost here, the excitement is palpable. 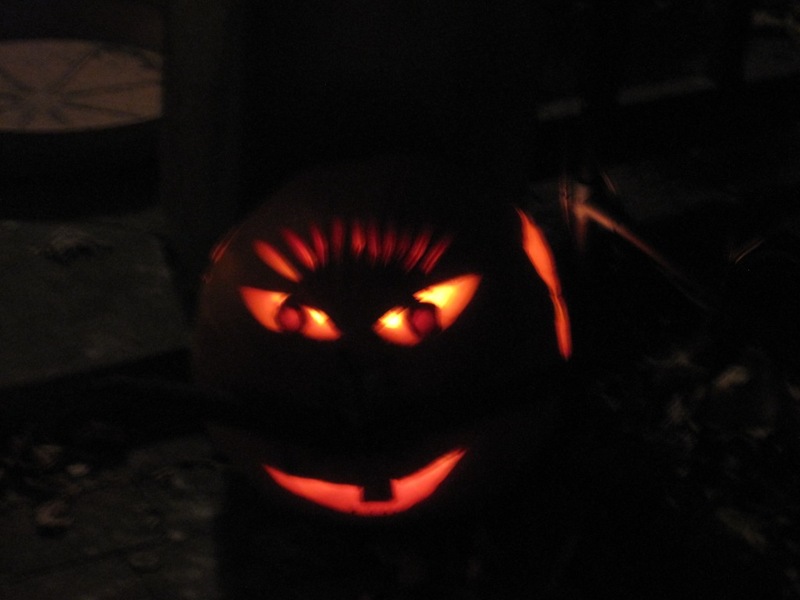 Children are giddy with ideas about costumes and the anticipation of vast hauls of candy. Adults, whilst less excited, are still happy to participate. Especially in the pile of sweet treats that wind up on the kitchen table. Playing dress-up is fun no matter what age. Do you have a costume ready? Pretending to be someone or something else is not simply an escape into another world. It is a means of self protection, a ruse to scare, to trap and then, there are those times when one inadvertently resembles a different subject. Despite all our human attempts to create costumes or reinvent ourselves, I firmly believe Nature is the master of disguise and intrigue. Butterfly wings patterned to resemble fierce, scary eyes, leaf hoppers looking like, well, leaves, bird calls that mislead predators, creatures that look like stones, animal furs designed to camouflage, flowers shaped to deceive pollinators, the list is endless. Detection, deception, duplicity and diversion are hallmarks of survival in the wild. In the garden, I get such a thrill when I come across an object that looks like it is in costume by pure happenstance. In the spirit of Halloween, I submit a few such images. This week, lets set aside our lengthy to-do lists for a bit and join in the fun. Is that a spider in the tulip? 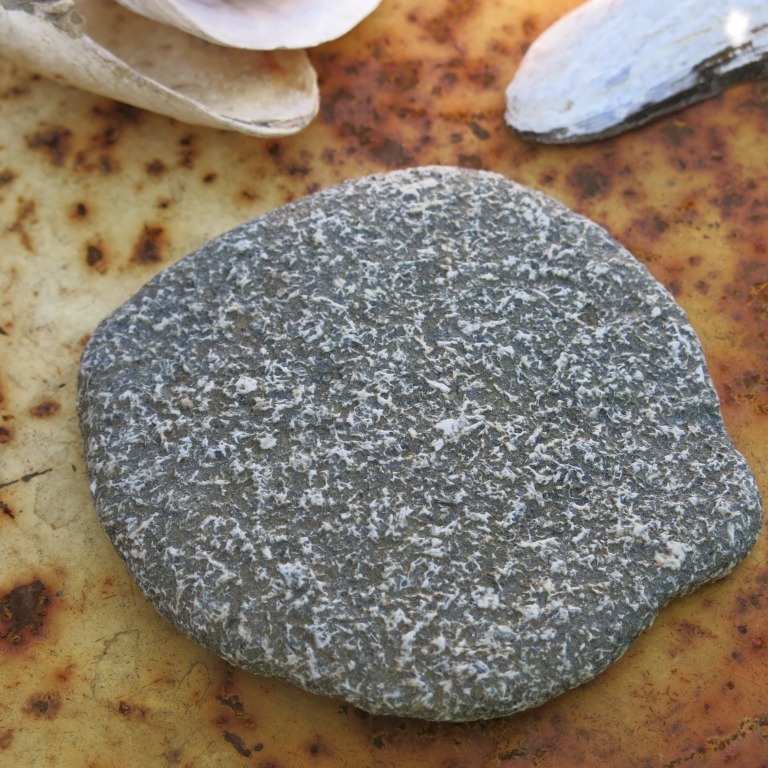 Is that a stone or a sole fish? Some weeks ago, Bloomingdales announced that they were taking a hard line on the return of their clothing. Because some folk tend to wear the clothes and then return for a refund, the store has decided to attach a device to the garments that would preclude that possibility. Any returned merchandise must have the device intact and attached. The measure should curb an $ 8.8 billion fraud bill! This is a sad commentary on the moral standards of a section of our society. To make matters worse, the wrong doing is not restricted to clothing. Plant nurseries are confronted with a similar dilemma. People return plants for a variety of reasons. The plants are kept for some days and then brought back because “they are not looking good”/ “ I changed my mind”/ “my spouse does not like these”/ “ I found a color I liked better at another place” and so on. How the plants were cared for in the interim is uncertain. Were they watered, given sun/shade, kept healthy, are factors not determined. Flowering plants have on occasion, been used for an outdoor event and then returned because “it didn’t work out”. This last one is exactly the same as the Bloomingdales problem. To use plants to “stage” a property for a showing and then return them is not unheard of. People come a year after purchasing a plant wanting their money back because the item did not survive the winter. No mention of the possibility that perhaps they themselves could have done something wrong. Wrong plant for the site. Wrong conditions. And some times sheer bad luck from a nasty winter which knocked off plants all over the region. There is of course, the possibility that the plant purchased might have been sick or diseased. But for the most part, that would have been made visible quite early. On the chance that this was not the case, the nursery would have eventually been notified by other buyers or the growers themselves when the problem surfaced. In which case, refunds would be appropriate. However, this is not the usual situation. Most times, people want to blame the nursery for all horticultural failures. 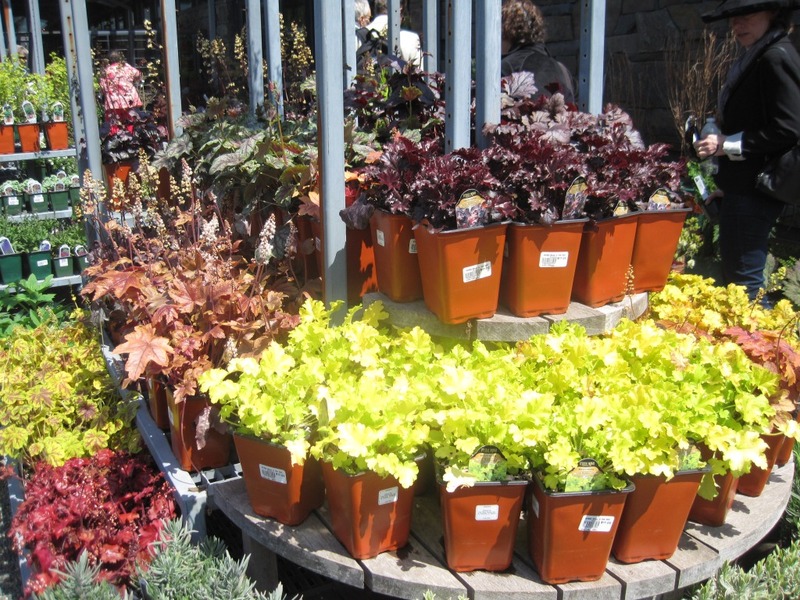 Some nurseries offer a limited warranty. It probably helps in customer relations. But what is the responsibility of the buyer? Do we not have to act in good faith? How do we dare demand good service, excellent quality and fair prices if we don’t do our part in adhering to the honor system? 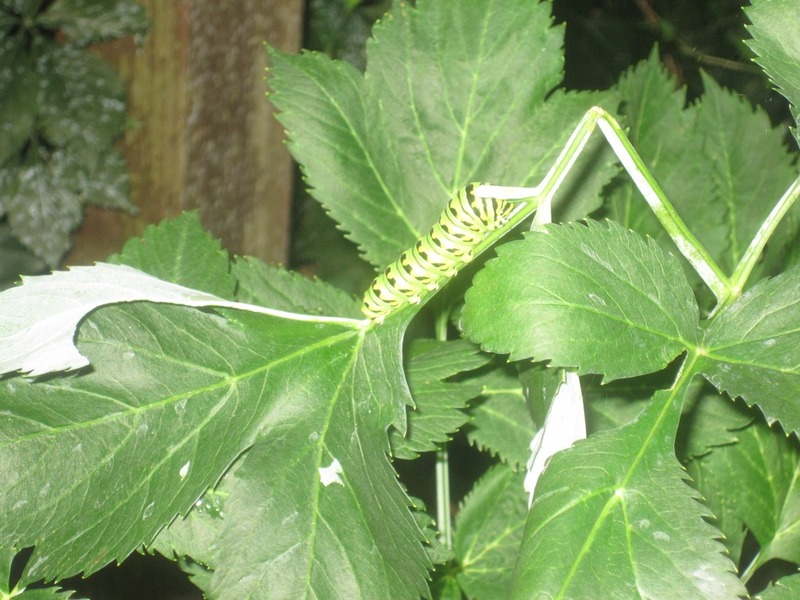 Plants are living creatures and by that very nature, there are simply too many variables in play. Reputable nurseries do their best to offer the best. The customer then must do his/her best as well. Do the research, choose wisely, plant correctly, care for the plants diligently. Don’t abuse the system. If the plant was mislabeled or the flowers turn out to be a far cry from the desired color, then by all means ask for a replacement but lets not make others pay for one’s own mistakes or failings. I know of no nursery tycoon. This is not the business that generates wealth. Nurserymen take on this work because they love it. Typically, nurseries also provide knowledgeable staff from whom one can learn a great deal. When a customer demands their money back and succeeds, it is mostly because the nursery has little choice. They cannot prove where the fault lies and so they swallow the cost. 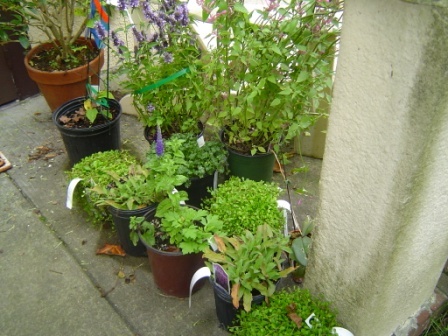 Returned plants are hardly ever in a state of robust health – hence the resale of such items is low. The Bloomingdales black tag cannot be used here. Instead, everybody will have to pay the price for the bad behavior of a small population.The cumulative effect of such a practice is far reaching.It hurts the growers, the nurseries, the customers. Prices will go up, selections will be smaller and less varied, and in the long term, there will be fewer people dedicated to the promotion of quality, interesting plants. On my part, I’m fully aware of how often I have made mistakes by making wrong purchases or stubbornly planting in inappropriate places or delaying the planting for too long. Worse, I’m guilty of neglecting to give the required care. I take full ownership and there is no blame to pass on. 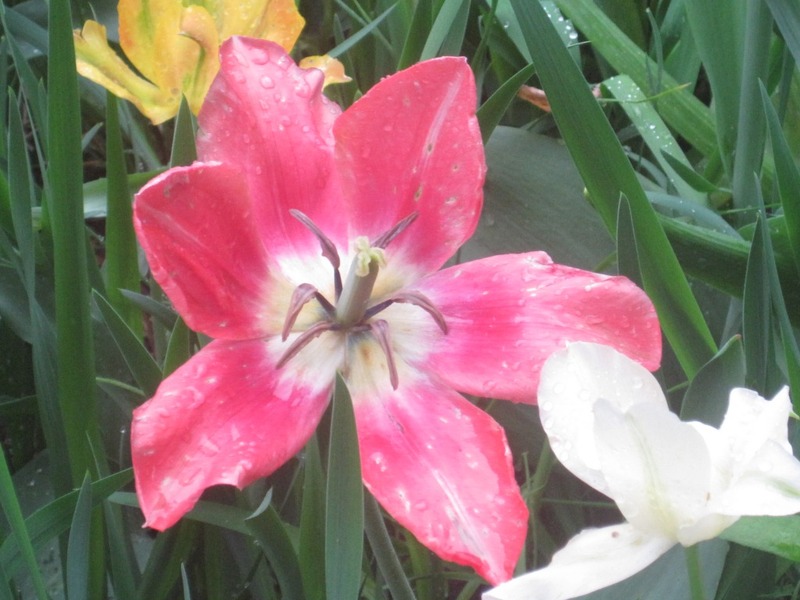 On the occasion, when an order of bulbs bloomed to exhibit the color or type that had not been selected, the supplier has graciously given a refund or credit. The same for plants that were incorrectly advertised. In general though, the fault is mine. I do recall that once, although a batch of tulips was the wrong color, it actually looked spectacular. When visitors congratulated me for my keen selection, I took full credit. Recently, at my local nursery, I heard a neighbor demand a refund for a shrub that had died. 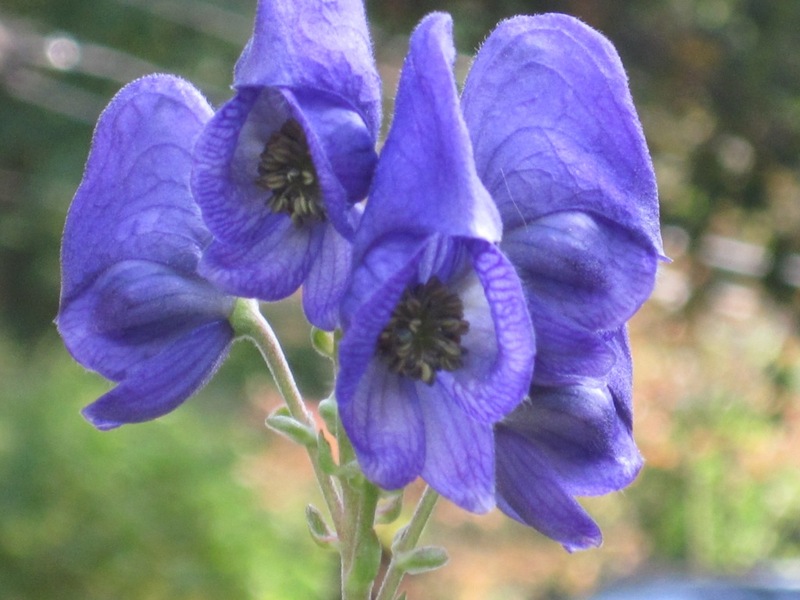 It had cost about $ 20.00, was purchased a year ago which included a harsh winter and a summer with little rain, been moved three times in the garden and had some construction work done very close to it. Really? Is this what we have come to? I’m still cringing. Smile, breathe deeply and go slowly – Thich Nhat Hanh. In other words, do not fret. 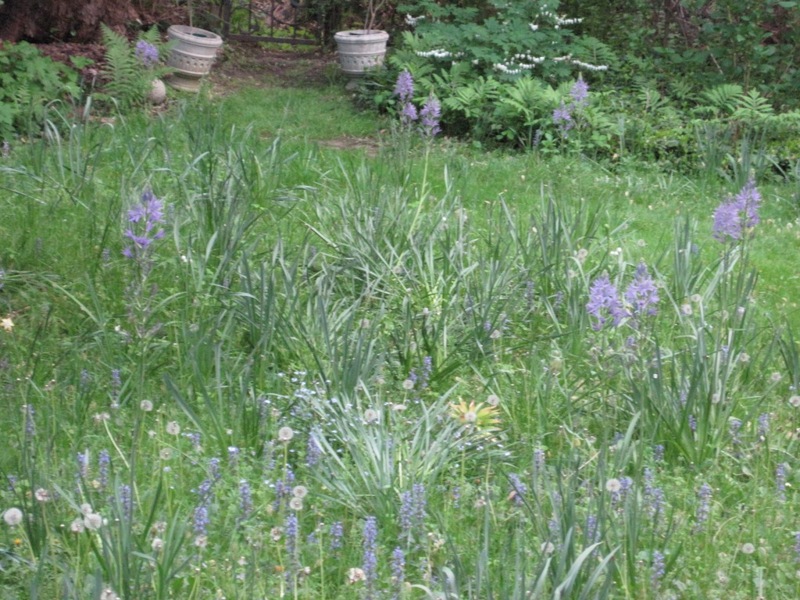 A garden should not be a cause for anxiety. That would entirely defeat the purpose wouldn’t it? It is very easy to focus on how much there is to do. 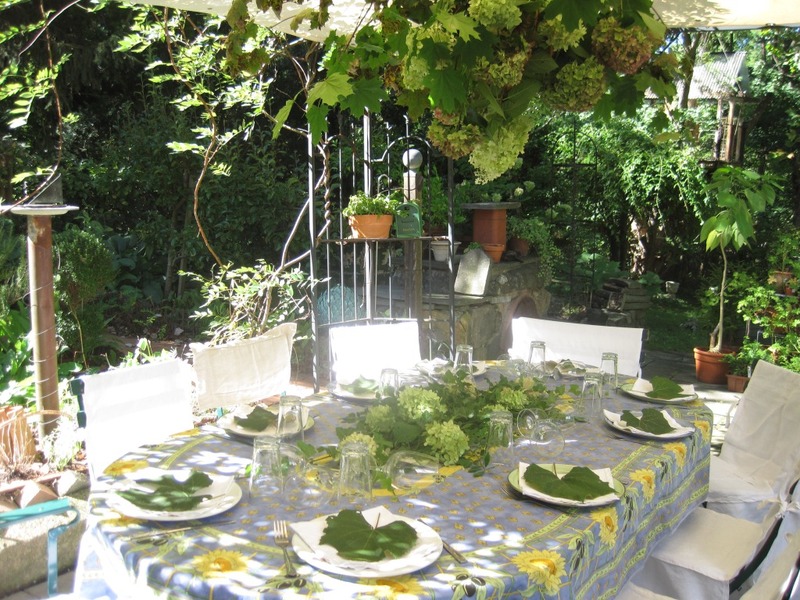 With a little planning, organizing and rethinking, you can have that beloved garden and still tackle your life. 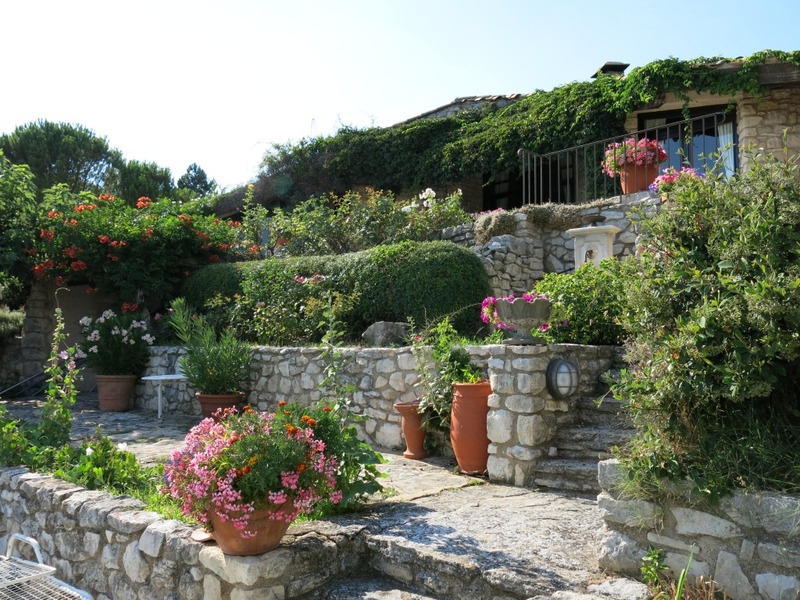 Create a garden that evolves with you.In my case, a garden is imperative so, whatever is going on elsewhere, I know to adapt the garden to that status.This,after all, is my sanctuary – where I come to restore balance in my heart. Lets examine those elements that take up too much time/effort and get practical. The first to come to mind is that ubiquitous green expanse – the lawn. That single feature consumes vast amounts of time, energy, products and money solely to look golf course beautiful. Such a waste. I’m not suggesting getting rid of it all together because some lawn is good. Just so long as there is enough to picnic, play a game (croquet not badminton) or for the sheer joy of having grass caress your bare feet. More is not needed. 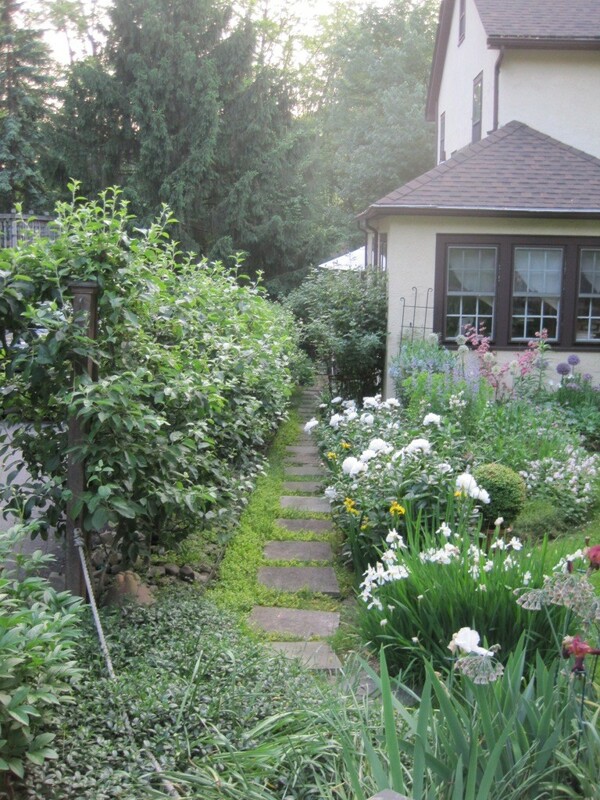 Reduce the lawn area by adding new trees, shrubs, flower beds and hardscaping. I converted the lawn in the back garden into a ‘meadow’. It gets mowed just twice a year. Next, stop desiring a lawn that does not include clover, the occasional dandelion, viola or runaway snowdrop. The plants we see as lawn weeds support very important wildlife. Raise the mower blade to keep the grass at about four inches. What hopes of lawn stripes and pristine grass you give up, will be replaced with more time to do other interesting things. 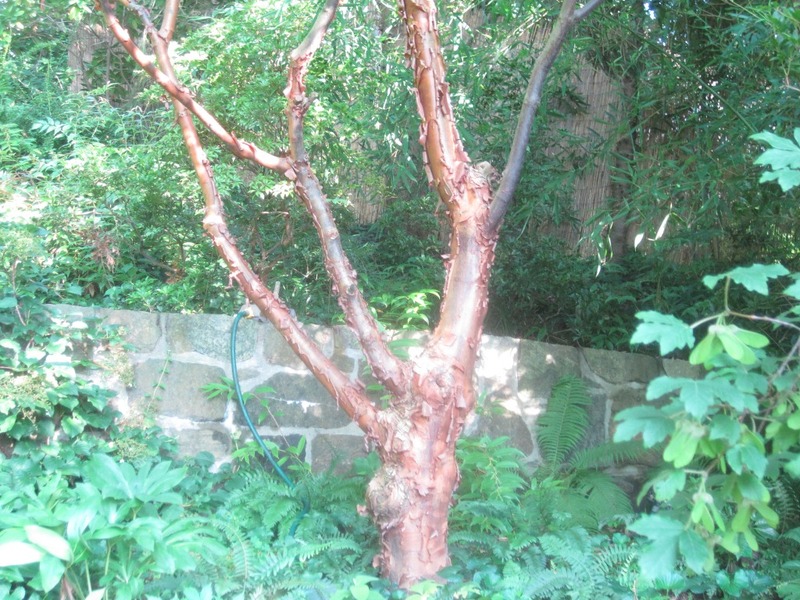 Shrubs and trees require minimal maintenance. In turn, they provide terrific focal points, create shady resting spots, food and shelter for birds, butterflies, bees and other good bugs, offer privacy and, year-round structure. So, plant more! 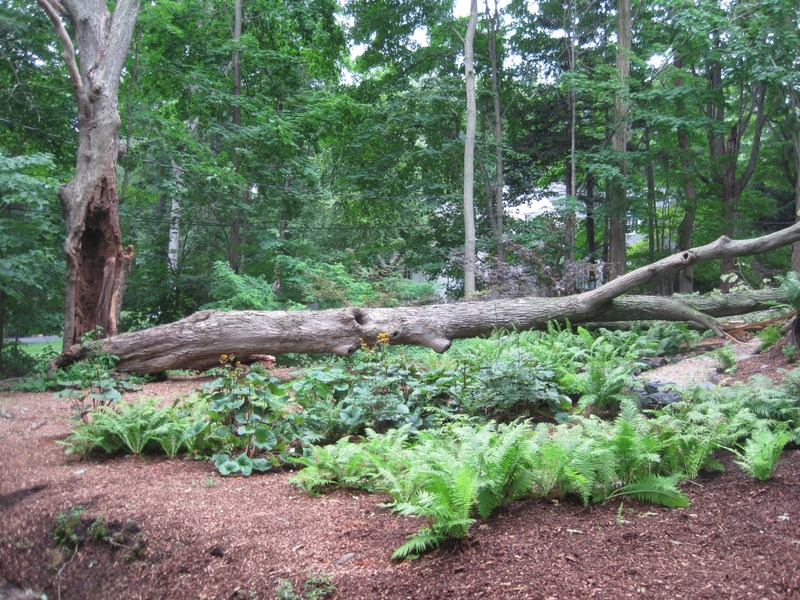 Between good mulch and ground covers, weeding becomes a task easily addressed. Spending just fifteen minutes to a half hour on an almost daily basis, will be sufficient to keep the garden looking smart. Plus, those minutes spent pulling weeds is an excellent opportunity to mentally sort out gnawing problems, decompress after a tough day, calm an overwrought mind or plan your next creative endeavor. This easy, repetitive effort is quite meditative. Multi-tasking that actually works! In the flower borders, adopt a policy of ‘right plant in the right place’. Avoid all others however tempting. 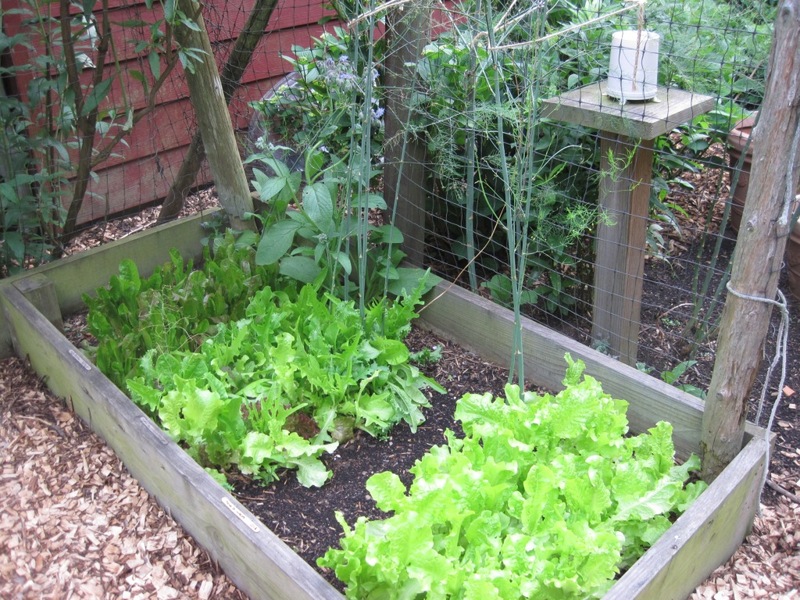 Raised beds make it convenient for those with back or knee problems. Fussing, frustration and fuming will become a thing of the past. 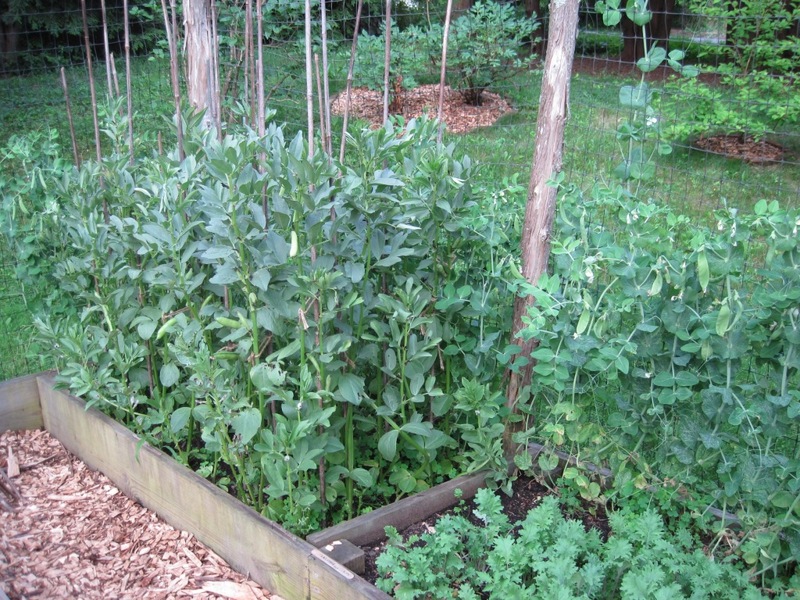 Vegetable gardens require a fair amount of time and work. Grow only what you know you and your family enjoy and can consume. If this too is hard to cope with, give yourself permission to do away with the potager. It is okay. No one important will think less of you. Instead, join a Consumer Supported Association and pick up a weekly share of fresh, organic, local produce. Not only will you continue eating healthy but, your local farm community will be appreciative of your support. Go on-line and find the CSA that serves your area. Finally, banish old beliefs of slaving in the garden. Promise yourself that you will enjoy it without guilt. Sometimes the grass may be a little long, other times the plants may be in need of deadheading. It is all right. Ignore the random weed and settle in to enjoy your piece of paradise. The pleasure is all yours. My meadow in May. Camassias abound. Creeping Jenny covers the ground in the side path. Pretty and functional. The arrival of the holidays invariably catches me somewhat unprepared and taken aback. There is so much going on in the autumn that the thought of decorating, getting presents, planning meals and so on gets overwhelming. So the fall back ( no pun intended) is to keep it low key. That would be fine except, too often, I still fail to meet my own expectations. It is not as though I’m setting the bar too high – my plans are simple but even simple needs forethought. This year, I aim to do better. Whilst going about the required chores in the fall garden, I’m preparing for the holidays as well. 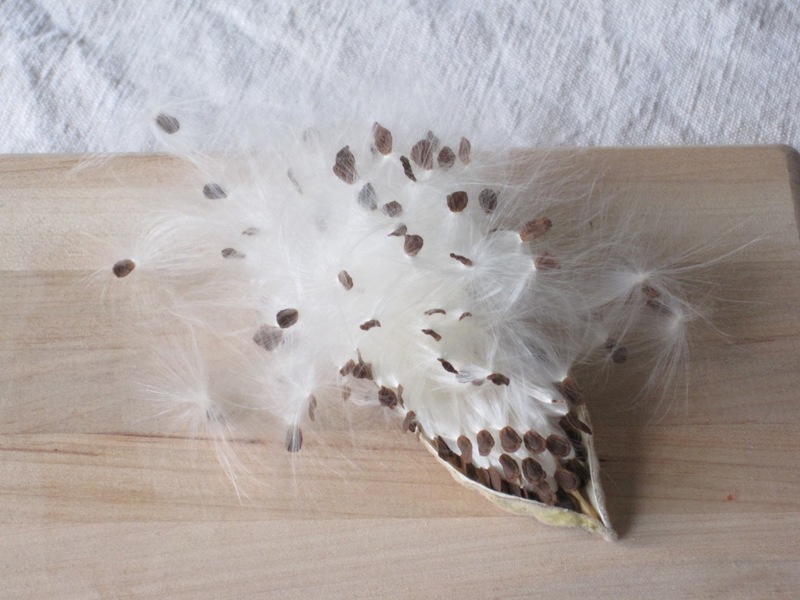 In collecting seeds from plants, I make packets of them to give as gifts. The seeds go into pretty envelopes that are clearly labeled with all the relevant information. Additionally, I’ll attach a photo of the plant and mention good companion plants. Vegetable seeds will be accompanied with a favorite recipe. 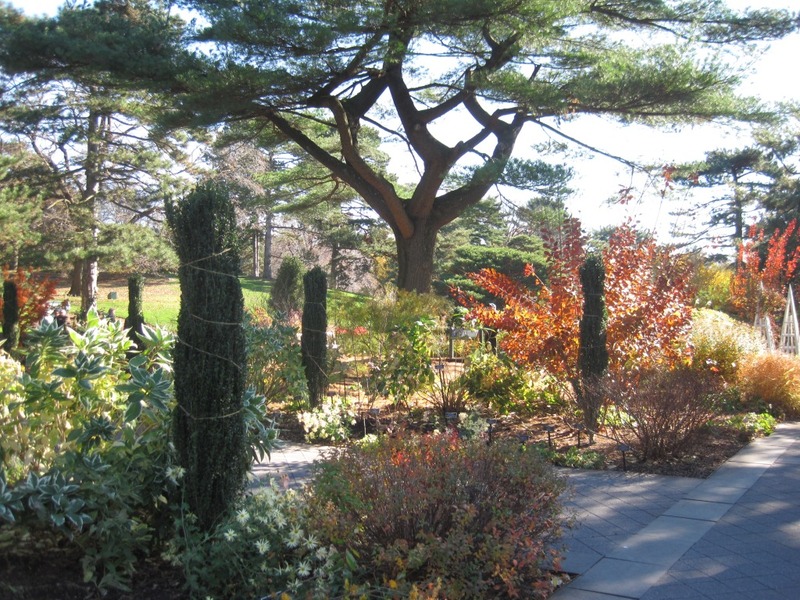 With boxwood blight looming large, one must start considering planting alternatives. So when I purchase shrub honeysuckle or euonymus to experiment in my garden, I pick up some extras to give to a friend who is worried about her boxwoods. Lavender and catmint are other options – I’ll root cuttings from my garden and extras from those that thrive will also be presented to fellow gardeners. Pruning is a chore that turns up some good staking material. 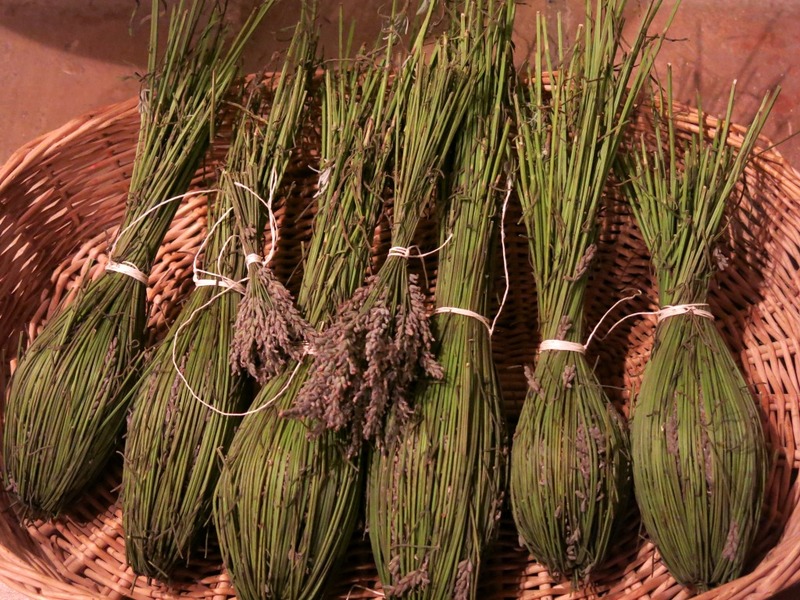 A bundle of sturdy, natural stakes will always be much appreciated by any gardener. The harvest of fruits, vegetables and herbs results in jams, jellies, sauces, chutneys, pickles, cordials and liqueurs. Who wouldn’t want to receive some of these? Additionally, herein are very handy staples for a soirée. Combine with crudités, artisanal cheeses, dried fruits, nuts, crackers and bread and voila! A cocktail party is in progress. Redoing or reworking a part of the garden at this time is something to give myself and/or the spouse. Be it relaying the stones on the terrace, replanting a bed or repainting all the lawn furniture, getting it done now will give some immediate peace of mind and when spring arrives, I’ll be all set to enjoy the ‘gift’. 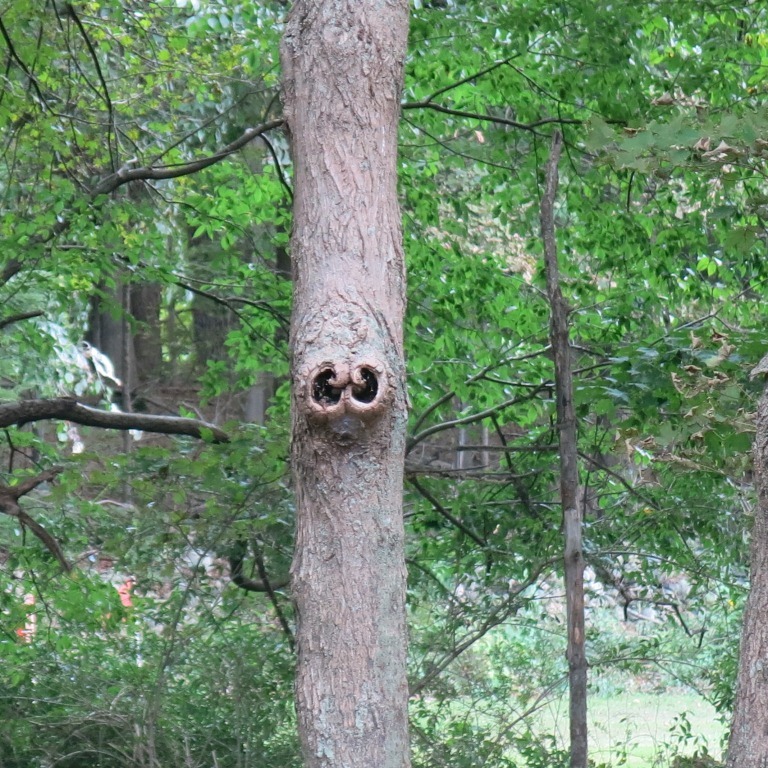 In that same vein, it is prudent to get the trees on the property checked out by an expert. Deal with the dead or diseased limbs/trees. Likewise, take care of trees that are at risk or pose a threat in case of storms. 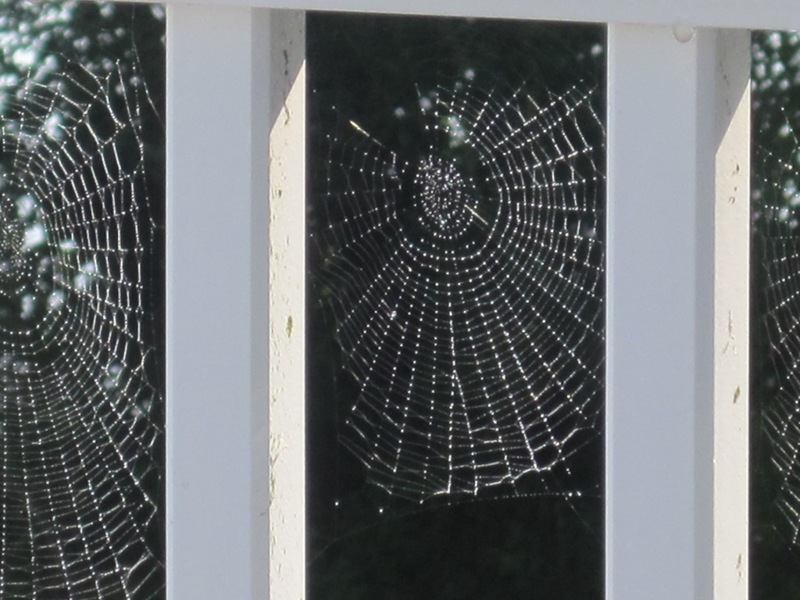 This single factor could save the huge expense and heartache of addressing possible damage. Its a gift one gives to oneself and loved ones. Except of course, some loved ones won’t know to value it! During the process of clean up, I collect fallen nests, feathers, colorful leaves, berries on branches, pine cones and acorns, seed pods, vines, flowers such as hydrangea that keep their form when dry, evergreens and other interesting natural material. These are all that I will need to decorate the house for Thanksgiving and even Christmas. Simple and natural. And compostable! 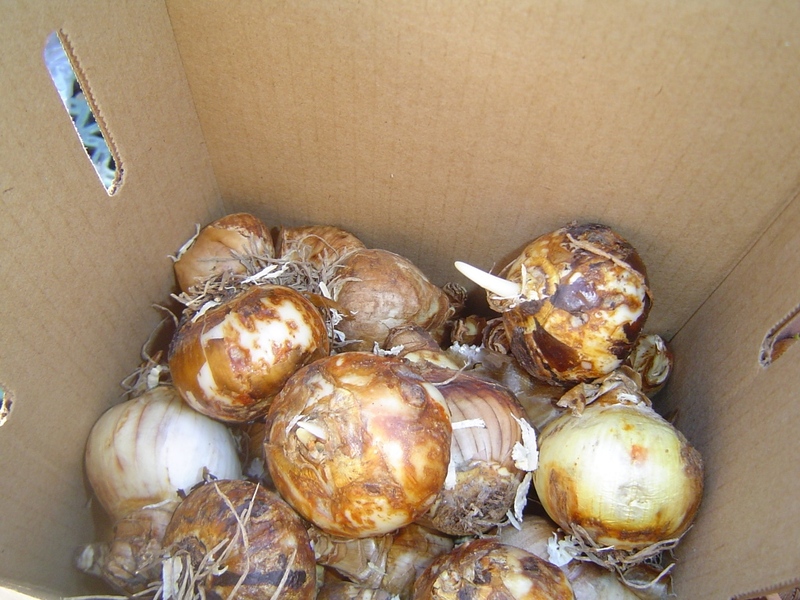 Hundreds of bulbs will soon be planted in the garden. Some of them go into the refrigerator to be forced in the dead of winter. 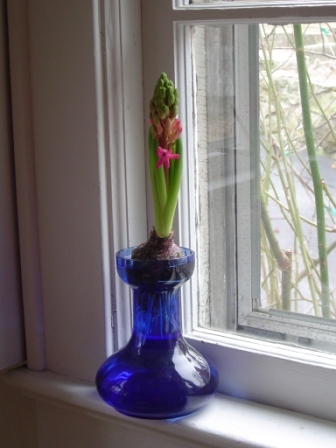 A forced hyacinth or crocus will be certain to banish the winter blues from the hearts of a few cherished friends. Finally, a gift to Nature. A general clean up and tidying is good but I leave as is an area not easily observed. Messy and overgrown. This will provide a habitat for wildlife. shelter during winter storms as well as a breeding spot in spring. 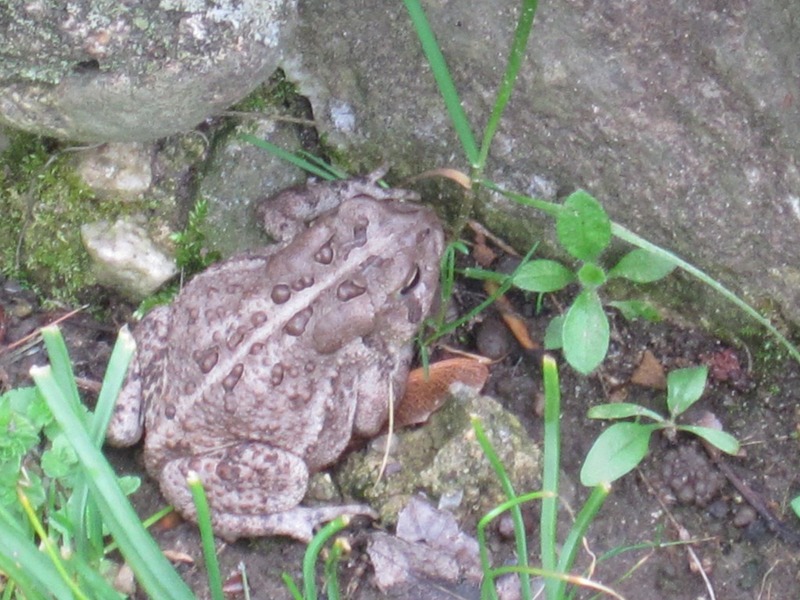 Birds, toads and numerous insects that are useful will be very grateful. There you have it. I’m already calmer. Are you? Autumn is almost a pre-spring sort of season. A great deal of what we do in the garden at this time of year is in preparation for spring. We clean up to make space for plants. We put in plants aplenty so they will get a head start. 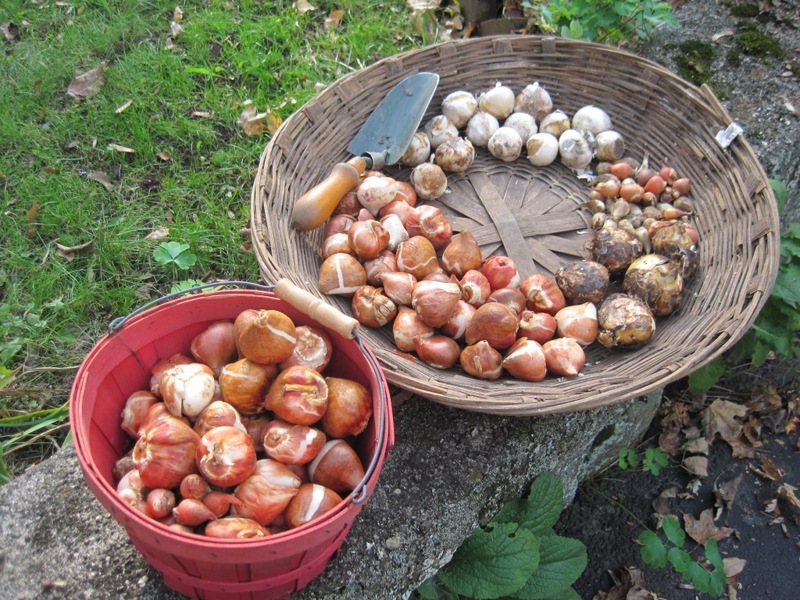 Bulbs are dug in in vast quantity with visions of a riotous printemps. There is a certain anticipatory excitement in the air. This is a very good time to plant trees. Too often, one gets so caught up in planting for ‘color’ that, the focus is on flowering plants and shrubs but seldom are trees the priority. I think it is clear that we are all aware of the environmental and ecological benefits of growing trees and yet, there is hesitation to commit to the task. For all the expenses one incurs in the garden, one could do much worse than going wrong on a tree. Since most of us start with fairly young trees, the cost of the tree and effort to plant it are not enormous. So should you think the choice of tree was a mistake or it fails to thrive, the matter can be easily remedied. However, removing a mature tree can be prohibitive – it behooves one to take the matter of tree planting seriously right from the get go. We are connected to trees by our breath. The oxygen I need is put out by trees and in turn, the carbon dioxide the tree requires is what I exhale. We are each other’s life force. It is that simple. No further reason is required to show why one ought to plant more trees. With that in mind, let us consider how to choose the right tree for the right space. First and foremost, decide if you would like a native tree which will support our native fauna or if you are more keen on something exotic and atypical. If you are going for the latter, just try to ensure that there are already several native trees in place or else, you will be creating an environment that plays host to pests with no natural predators around. Fruit trees are a good compromise! It goes without saying that your choice of tree must be hardy in your region. Height of the tree is perhaps one of the biggest traits to consider if it is not to outgrow the space. Labels do not always give accurate indications. Do your research and speak to experts prior to purchase. The canopy spread is next. How wide the tree grows will again be a space issue. Consider buildings, other trees, power lines, gutters that could get clogged when leaves drop etc.,. This might not seem a problem when first planted but as the tree grows …. The corollary to this is choose a tree that can spread nicely in an open space. Too small is equally inappropriate. Walls and buildings should not be too proximal to trees as their root system could cause structural damage. Keep in mind that roots spread as the tree ages. Shape or form of a tree is the next factor. Upright or fastigate trees do well in smaller spaces but if shade is desired, go for round or v-shaped ones. 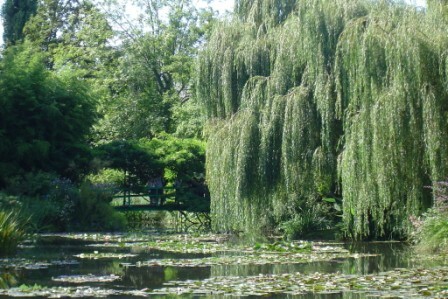 Trees can also be trained as pleaches and espaliers which provide visual interest and function as fences or screens. Espaliers are excellent for growing several trees in a restricted area. Trees for such purposes must be selected appropriately. Again, for choice and technique, do your homework. 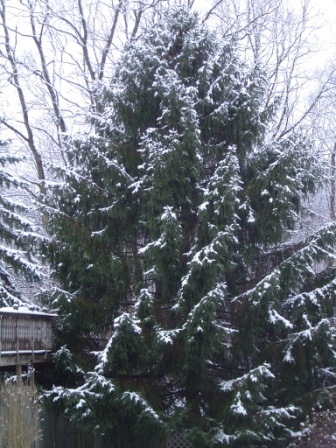 Further selection is made depending on one wanting an evergreen or deciduous tree. The former provide a constant visual and is effective for maintaining privacy. The latter changes through the seasons and loses it’s leaves in winter when the bare branches lend graphic interest. 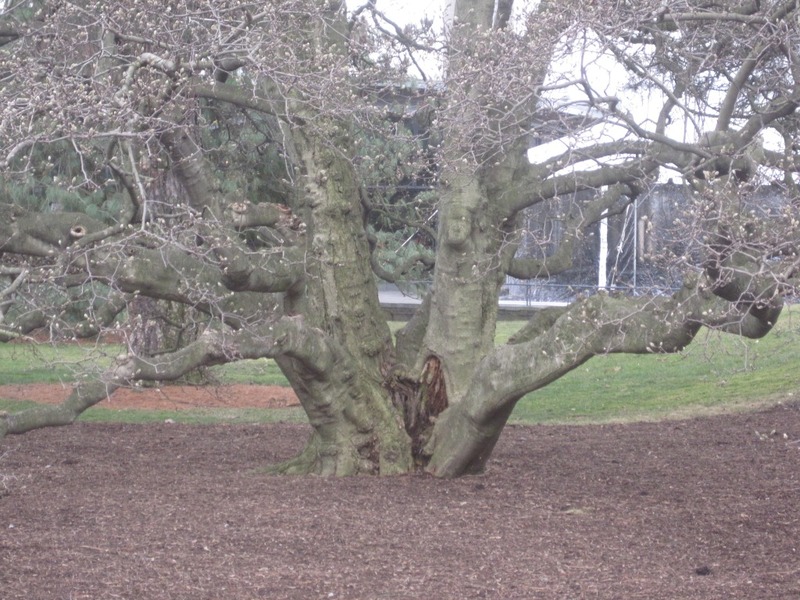 Trees vary in growth rate. In your mind’s eye you might see a full grown oak but it’ll be a while before that sapling gets there. 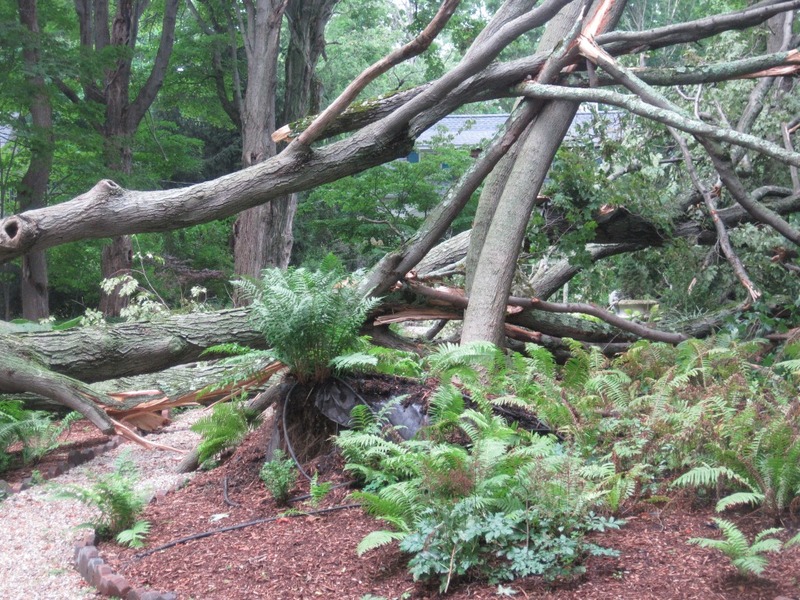 Often, fast growers have shallow roots and are vulnerable to being uprooted in fierce storms. 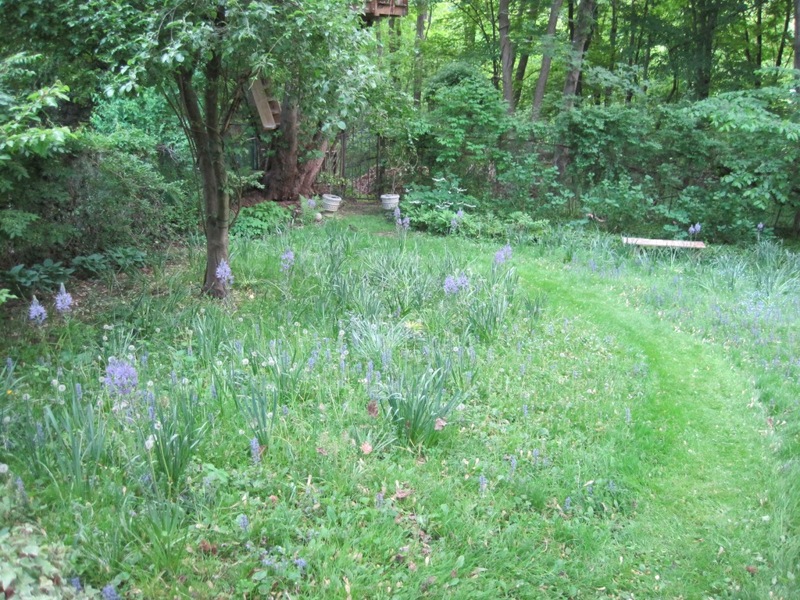 As trees grow, other areas of the garden will be affected by the shade they create. If a sun loving flower bed is in the vicinity, a few years from now, it might struggle to thrive. Do you know your soil type? Some trees will do well only in the right soil. Water drainage, pH, sandy, clay or chalky are things to take into account. How much light and water a tree requires are important. Choose and position accordingly. 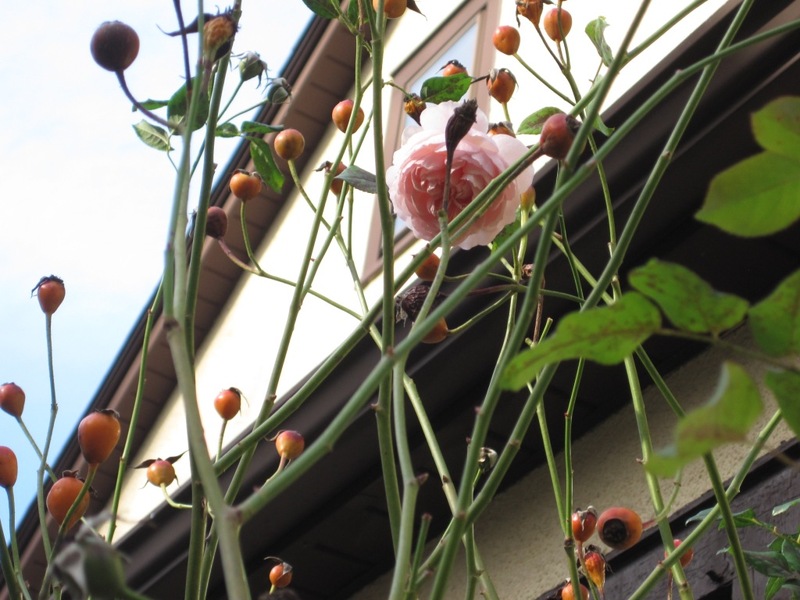 Neighboring properties are also affected by the trees you plant. While your choice might be ideal for you, it could create problems for the neighbor. Be considerate. It is much more important to get along. 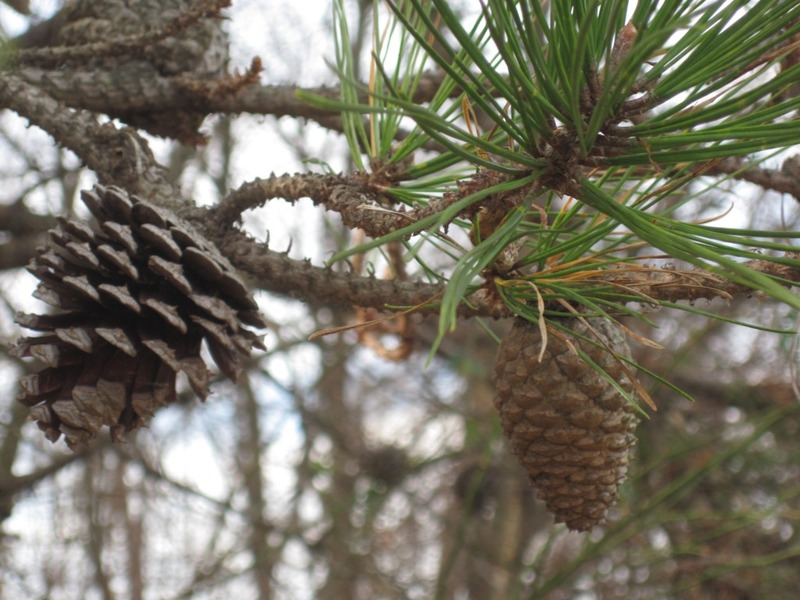 Learn about how specific trees are maintained. 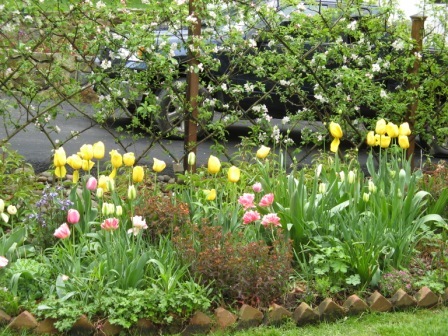 Pruning, watering and fertilizing vary. Finally, think about how the tree will look all through the seasons. Include traits such as flowers, interesting bark patterns, foliage and fruit as you make your selection. Reflect on why you want to plant a tree – for the environment, to create shade, as a focal point, to reduce lawn space, prevent soil erosion, for privacy. Understanding your intention will help considerably in making a wise choice. As I’ve said in the past, tree planting is a very vital part of stewardship for the land. We must do right for and by future generations. You may not be around when the oaks reach great heights but your effort will be much appreciated by your children’s children. Pay it forward. 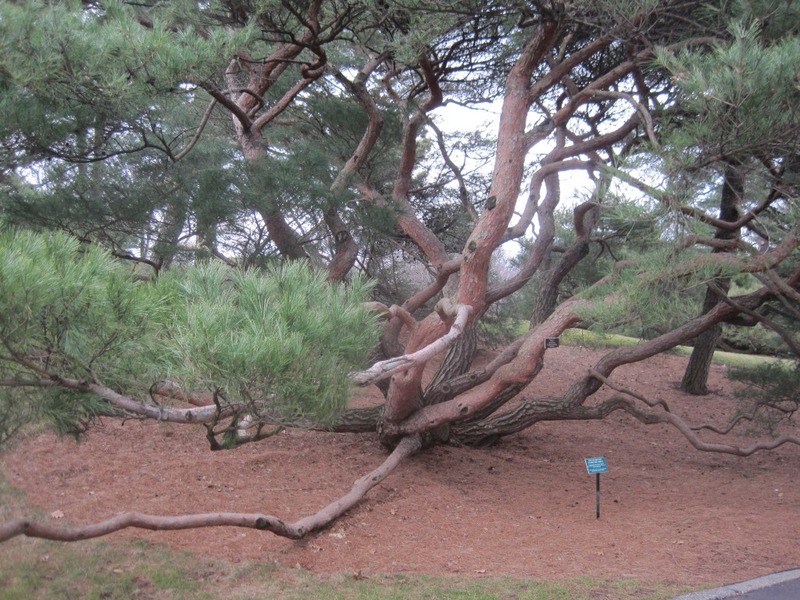 Note: A visit to a botanical garden is an excellent place to see and learn about trees. Do go!